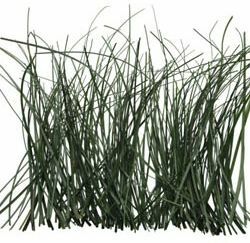 Lemongrass is an herb used in Thai and Vietnamese cooking that's also god for protecting and strengthening your hair. Make a lemongrass hair rinse using 2-3 teaspoons of dried lemongrass (or 3 times as much fresh herbs) with 1 cup of boiling water. Let it steep for 15 minutes, strain out the herbs and use it as a hair wash or rinse (before conditioning unless you have oily hair) when it has cooled. Add a teaspoon of vegetable glycerin as a humectant, if you like.